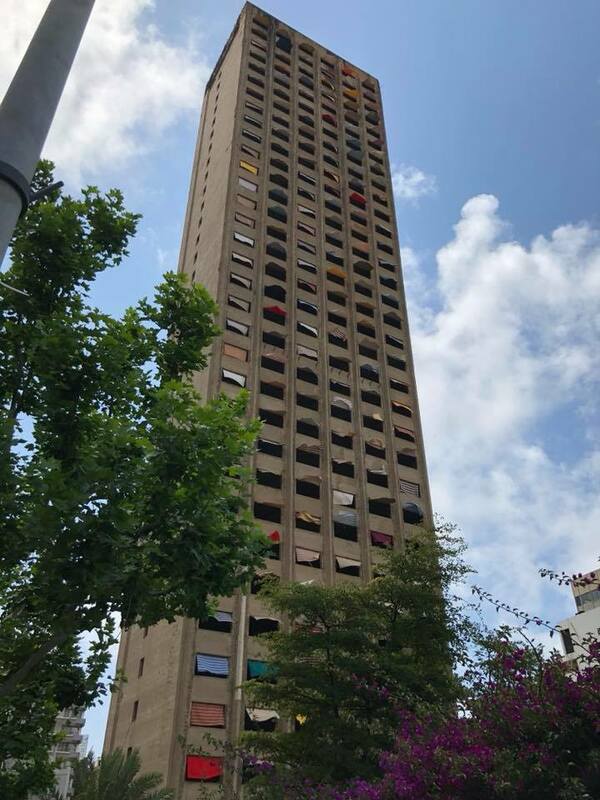 Burj el Murr, dubbed the tower of bitterness, is a haunting reminder of the Lebanese Civil War that ravaged Lebanon for over 15 years. The building was built in the 1970s and served as a key sniper hideout, but was left abandoned after the war and still inhabited till this day. I stumbled upon today pictures of the Burj with colored shades hanging on the windows from the top to the bottom in an attempt to bring some life into Murr’s Tower. 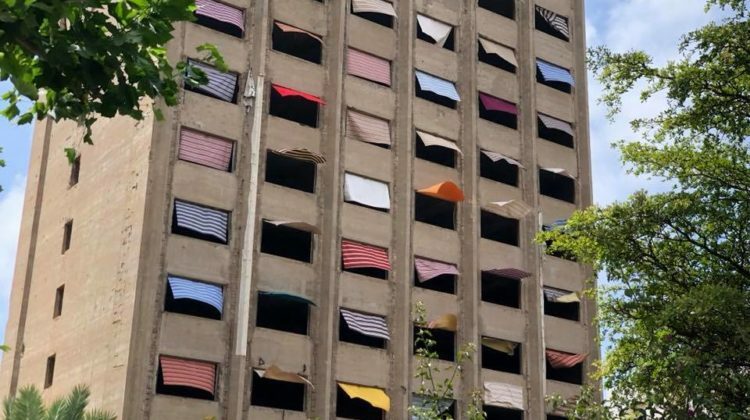 The project was done by Lebanese street artist Jal el Khoury with the help of Basel Dalloul and Letitia Gallery and the outcome is quite awesome! I shared a couple of pictures and you can find the rest [here].